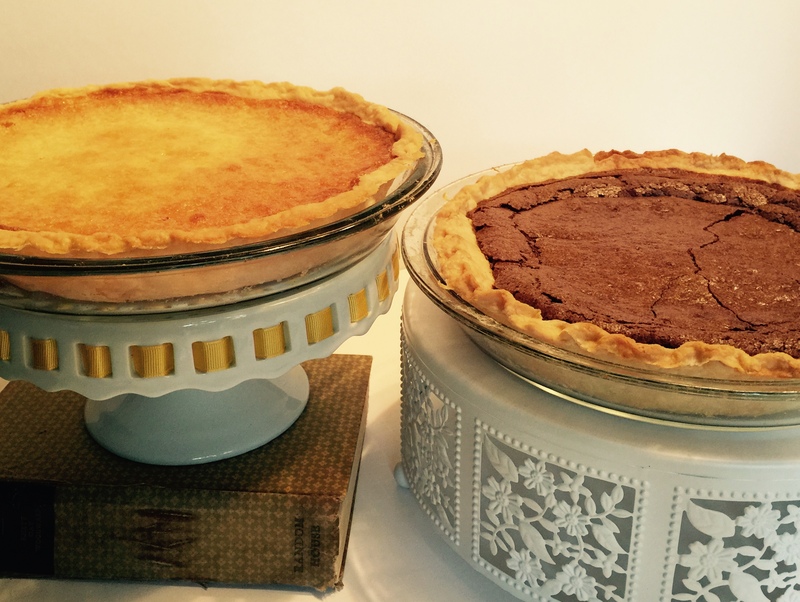 Chess Pie in the House…both Chocolate and Lemon! I don’t often make pies because I’m not crazy about them. But every now and again I get a hankering for a taste and recently that resulted in not one but TWO pies. And both from Bill Neal’s “Biscuits, Spoonbread, and Sweet Potato Pie”. That cookbook is a baking treasure trove. It’s out of print but I’m fairly certain you can still get it. Anyway, chocolate chess and lemon chess were the pies I baked. Which one’s best? Well, you can’t compare the two…you just can’t. It would be like comparing two children and we all know how wrong that is. 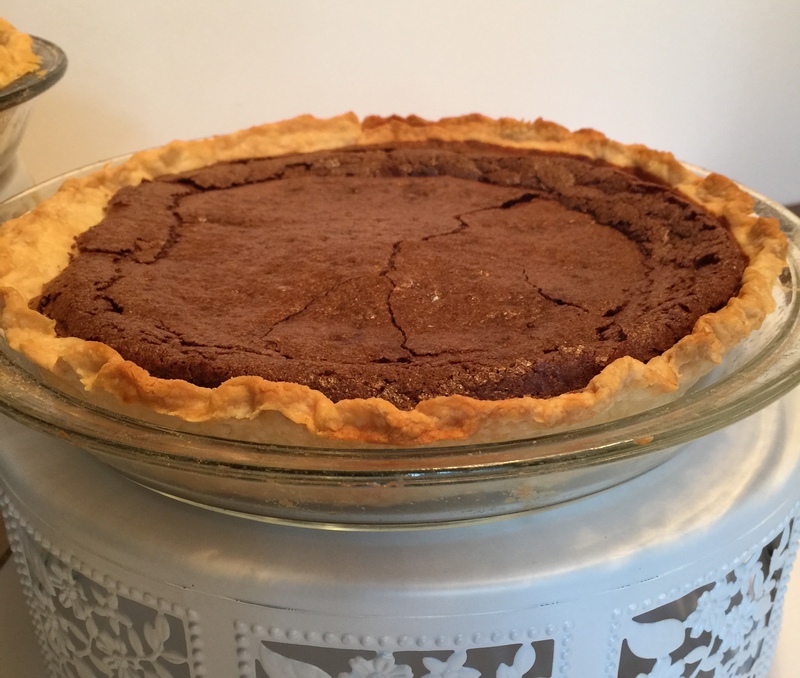 Chess pie is a Southern classic, rich, sweet and intense. Vanilla and/or nutmeg is the traditional choice, chocolate the rich choice and lemon, oh lemon, probably the South’s favorite. 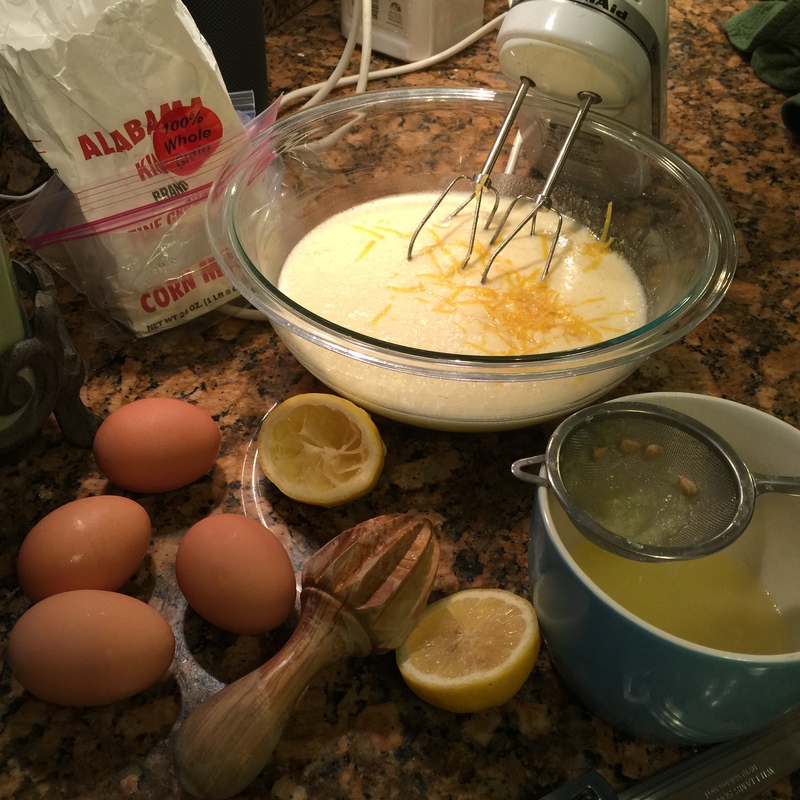 Lemon is my pet, my treasured pie if I have to pick; the juice and zest adding such depth to the soul of the custard. It makes me moan. But don’t despair. Chocolate is sinful, too. A small amount of bourbon or rum flavors the custard and raises the desire for another bite to scandalous proportions. Chess pies improve with a day or two in the refrigerator before serving. 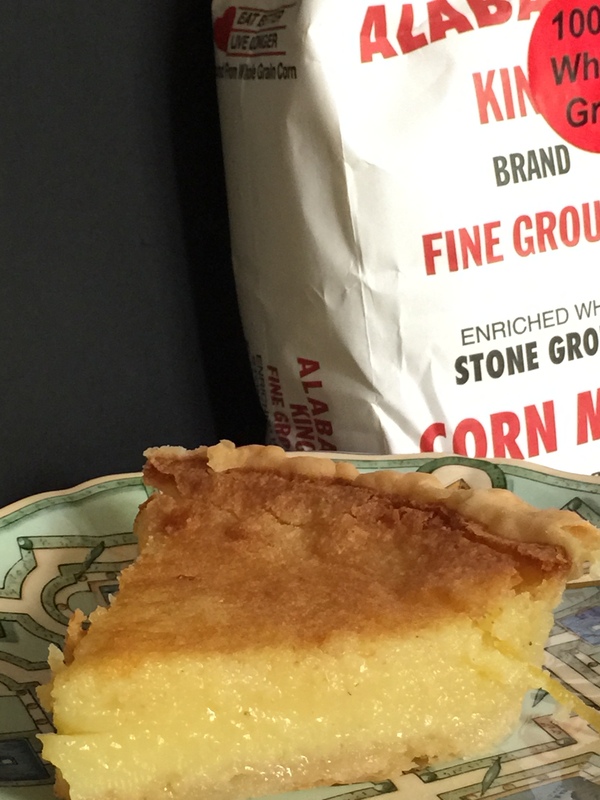 Lemon and vanilla chess pies always includes cornmeal in the recipe, however, it is never found in chocolate. I always serve these pies cold, with or without whipped cream, but always cold. Of course, a store-bought crust may be used but if you have a favored recipe these pies will make the pie shell positively sing. Possibly because it’s such a simple pie but you’ll take note and appreciate everything that makes a crust made by hand special. I know none who don’t love chess pie. 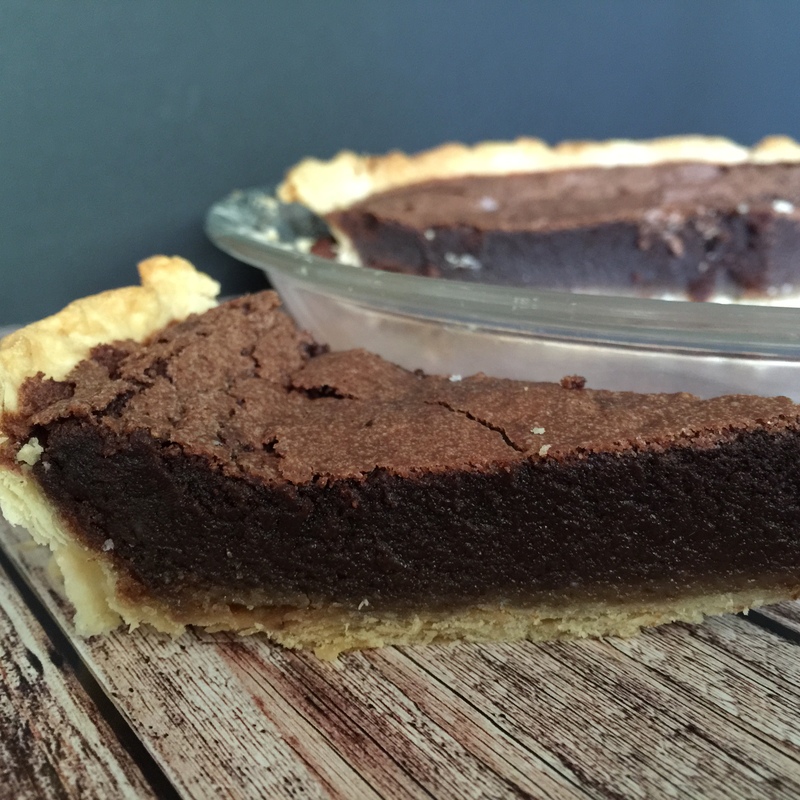 And this pie is worthy of being a hostess gift, (she can tuck it into the back of the refrigerator and enjoy it the next day while having a post-party chat on the phone with you), or is perfect to take to the house of a friend who’s lost a loved one. Chess pie says “I love you”, “I’m so sorry for your loss” even “I’m sorry I hurt your feelings”. But whatever the reason you prepare this, that pie will make everyone happy! Beat the eggs lightly, beating in the sugar. STIR in the salt, buttermilk, cornmeal and melted butter until smooth. Flavor with lemon zest and juice, and nutmeg. Melt the chocolate and butter together in a double boiler. Toss the sugar, salt and flour together and stir into the eggs. Add the cream and the melted butter and chocolate. Flavor with the vanilla and whiskey. Pour into the partially baked pie shell and bake for about 35 minutes or until the custard is set and has a slightly crusty top without excessive puffing. Wild Blueberry Raspberry Bread…grab and go!